This right here is the way ALL women should stand up for themselves when Islamists try to subjugate them. 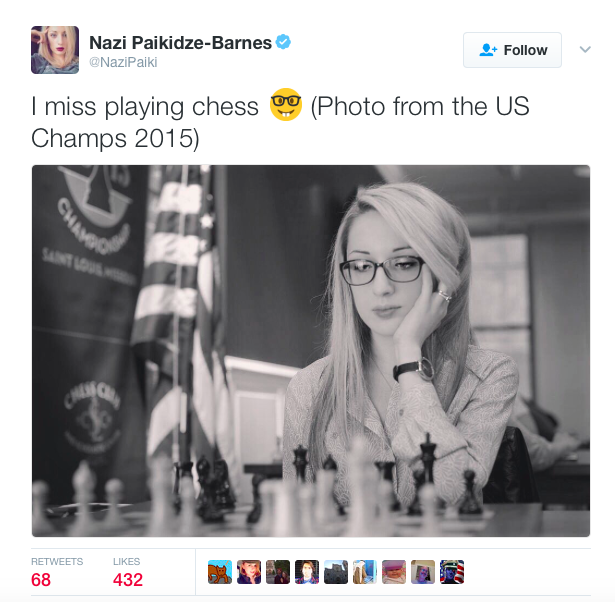 Nazi Paikidze is the reigning US women’s chess champion. She is an American whose family is from Georgia, Russia. FIDE is holding the world chess championship for women this year in Iran. To compete, Paikidze would be forced to wear a hijab… an Islamic head covering for women that indicates submission. She refused to do so and was not allowed to compete. She willingly gave up a $100,000 prize to take a stand for women’s rights. That’s the way it should be done. Good for her. This is not the first time that Paikidze has refused to wear a hijab and it won’t be the last. This woman has a spine of steel and isn’t budging. It’s not because it is Islam or because it is Iran… she’s doing it because she does not believe that women should be considered as lesser beings and as property. And it cost her a lot. She will not bow to the so-called morality laws of Islam. Why in the world would you host a women’s chess championship in Iran, who has one of the very worst records on the planet for women’s rights? 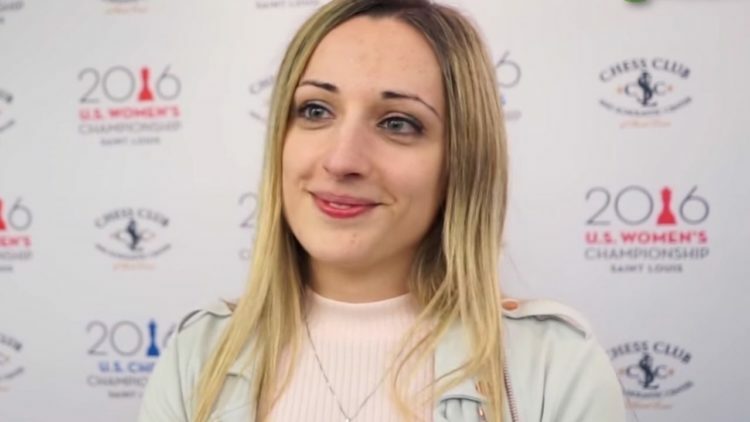 Because Paikidze believes so strongly in this, she is missing one of the most important competitions in her career. She’s sad over it. She has worked for this her whole life, but it is the principle of the thing here. 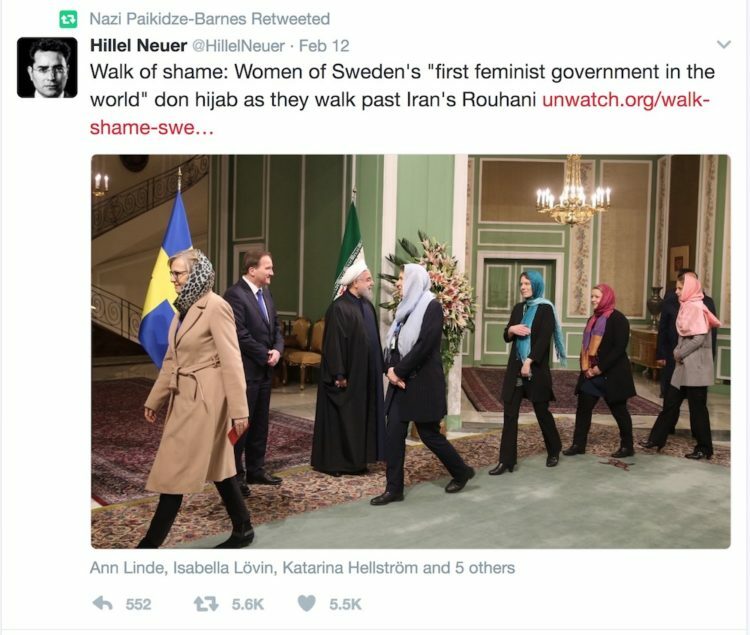 Paikidze also retweeted this tweet noting the irony of members of the Swedish team, a country known for its feminist advances, giving in to the gender-specific oppression imposed by Iran by wearing the hijab. “I will NOT wear a hijab and support women’s oppression.” She told the founder of a group organizing against Iran’s hijab laws. “Even if it means missing one of the most important competitions of my career.” I commend this young woman for standing up for women like this and making a very strong statement. We need many more like her.